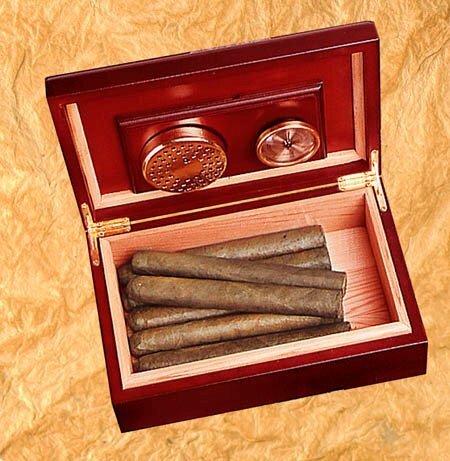 Make any cigar enthusiast with an interest in martinis feel special with a personalized humidor in which to store his prized collection. Full-color design surrounds a cosmo martini glass on a bright green background. 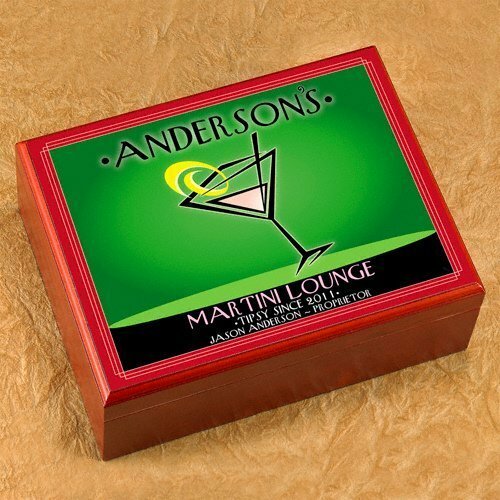 Cigar humidor measures 9-1/2" by 3-5/8" by 7" and is personalized with first and last name of the proprietor and the year this martini lounge was established. Makes a great retirement gift!